Over the years, locations dedicated to showcasing Malaysian culture have become ever more tourist-oriented. As such, Malaysian Grand Bazaar (MGB) is a new iconic landmark by Bukit Bintang City Centre (BBCC), a hub for both locals and tourists alike to explore Malaysia’s arts, food, and culture. FOREFRONT was tasked with garnering interest and building brand awareness for MGB despite having no physical presence. 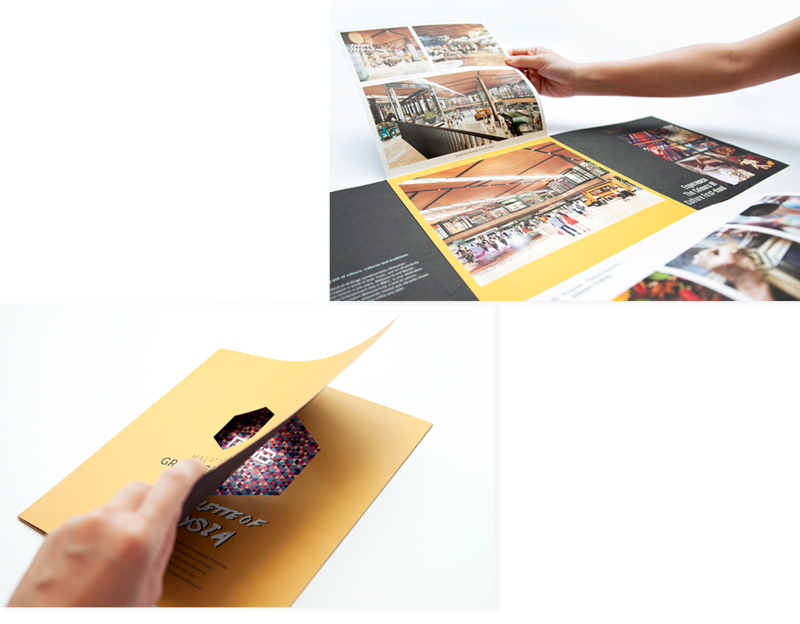 FOREFRONT’s efforts for MGB started with creating a memorable corporate identity, using a multi-coloured hexagon to represent the multitude of cultures within Malaysia as well as the 6 types of cultural goods one can find in MGB. 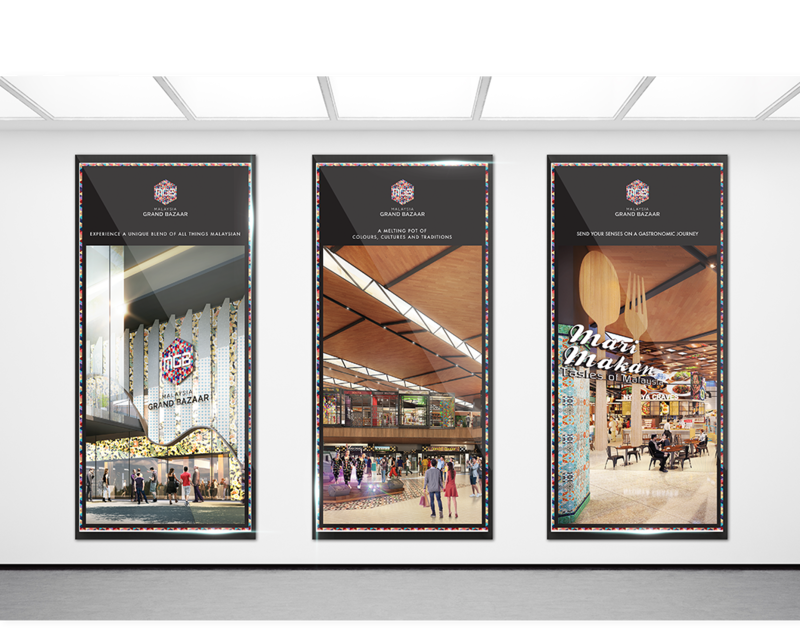 During the BBCC groundbreaking ceremony, sales gallery lightbox posters were created as a teaser for ceremony attendees. 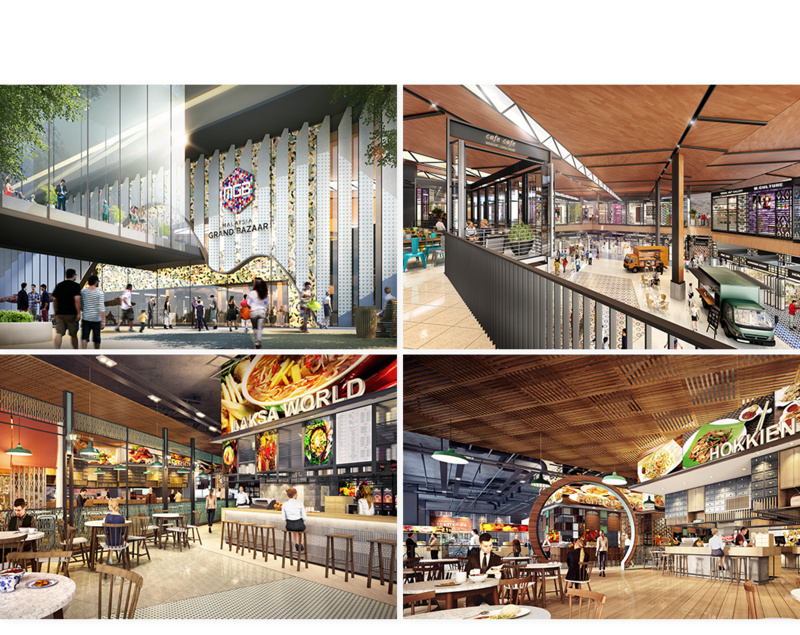 FOREFRONT also created 3D perspective models, brochures, and a website as promotional materials, incorporating the wide array of colours indicative of MGB’s tagline: The Colour Palette of Malaysia.